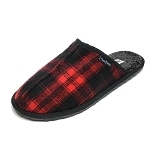 Minnetonka 0773 - Men's warm luxurious, plaid fleece lined double bottomed slipper. Wraparound rawhide lace that ties with a bow for a custom fit. 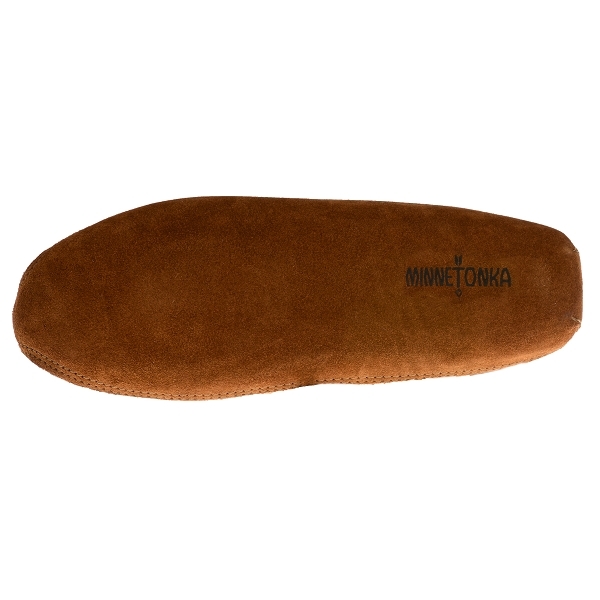 Fully padded foam insole. 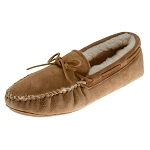 Very comfortable and good quality, HOWEVER, they tend to run a little small. 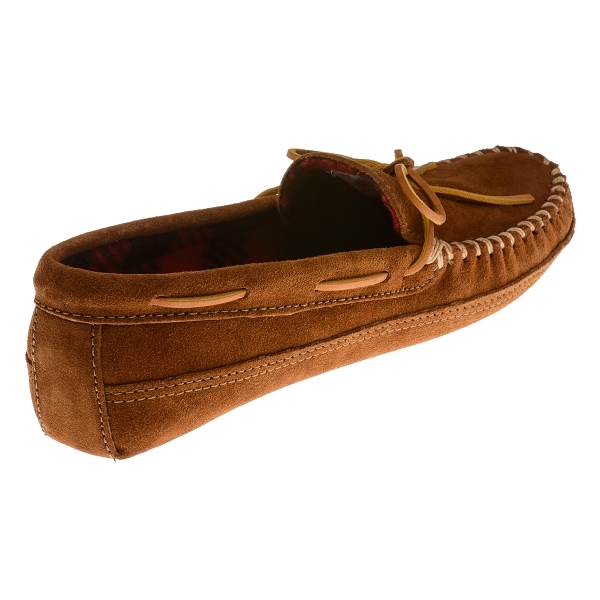 Order one full size larger than you wear. I had to use shoe trees to streatch mine a bit. Otherwise a very good moccasin.